With only two full days in Iloilo, how can you make the best use of your time? In this quick post, I’d like to share with you our Guimaras-Iloilo travel itinerary. Hope it helps you plan your next Iloilo adventure. Note: There are updates on transportation instructions. We found that the best way is to ask locals what rides to take. Most of them were incredibly helpful. P.S. We also imagined another scenario. What if you want to go to Gigantes from Iloilo? Here’s a sample itinerary I planned after online research. After some careful consideration, we all agreed that spending most of our time on a bus/van wasn’t a good idea. If you only have two full days in Iloilo, it’s best to visit places nearby. I would have spent all two days in Iloilo City alone. We haven’t explored many sights within the city but who would want to miss a UNESCO World Heritage Site and a glimpse of heaven? That’s how we settled for Miag-ao and Garin Farm. The Molo Mansion and the Neo-Gothic Molo church happened to be located along the way. Stay tuned for more stories and tips about our recent adventures in Guimaras and Iloilo (Check this post about our DIY Trip Around Iloilo). 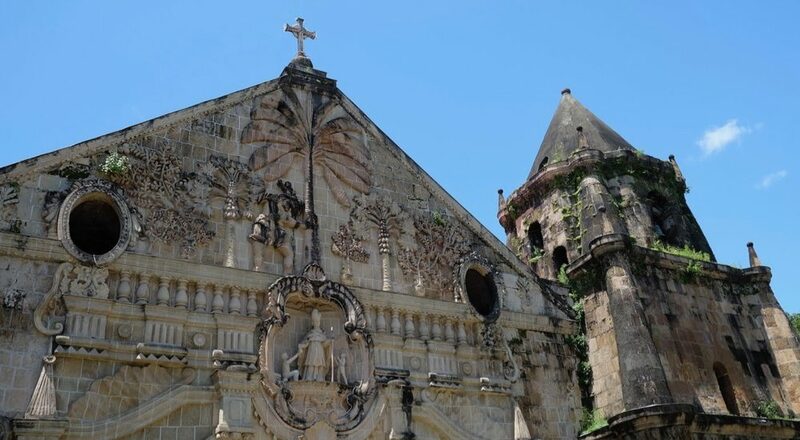 I hope this post inspires you to plan a visit to Iloilo – the province of many ‘firsts’ in Western Visayas. For this DIY itinerary, I consulted these awesome blog posts. Thanks, guys. Thank you for this! we really need this guide.